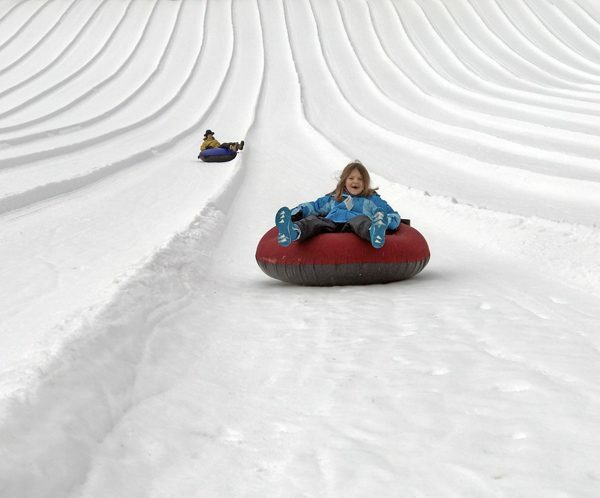 The Snoqualmie Summit Tubing Center offers easy and safe snow inner tube runs at Snoqualmie Pass along I-90 east of Seattle. The place can be packed with people, but once up at the top there are plenty of snow chutes to quickly go down. The chutes are straight and basic, but good for a few adult runs and perhaps more runs for kids. 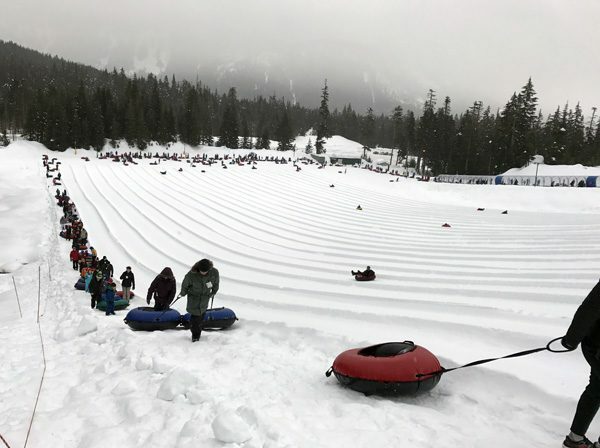 Inner tubing at Leavenworth’s facility is faster and more interesting with twists and turns, but the Snoqualmie facility is conveniently located for Seattle residents. On one side of the hill is a walking path back up to the top, and on the other side is a people mover conveyor belt available for those who want to wait in its line. 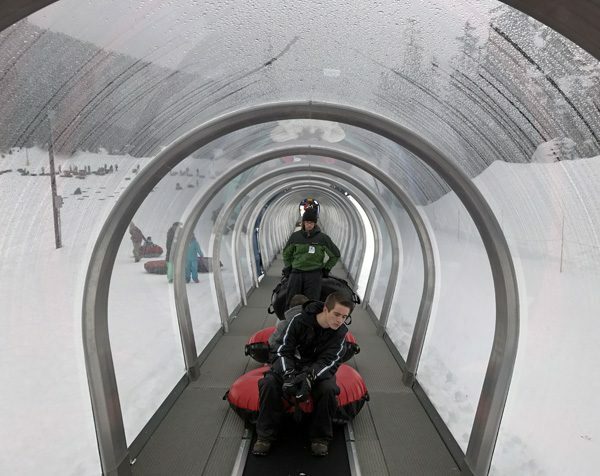 Overall, Snoqualmie Pass’ Summit Tubing Center provides good though basic fun in the snow.